Running your own business can be challenging! You must juggle hundreds of tasks and make decisions each day. As an entrepreneur solo-business owner, your long-term success is dependent upon your ability to articulate your plan and take action! And, I bet you’re pretty adept at taking focused action in short bursts or sprints. Too often we miss our goals because we work on LONG range plans and forget that those big goals can often be broken into smaller pieces. 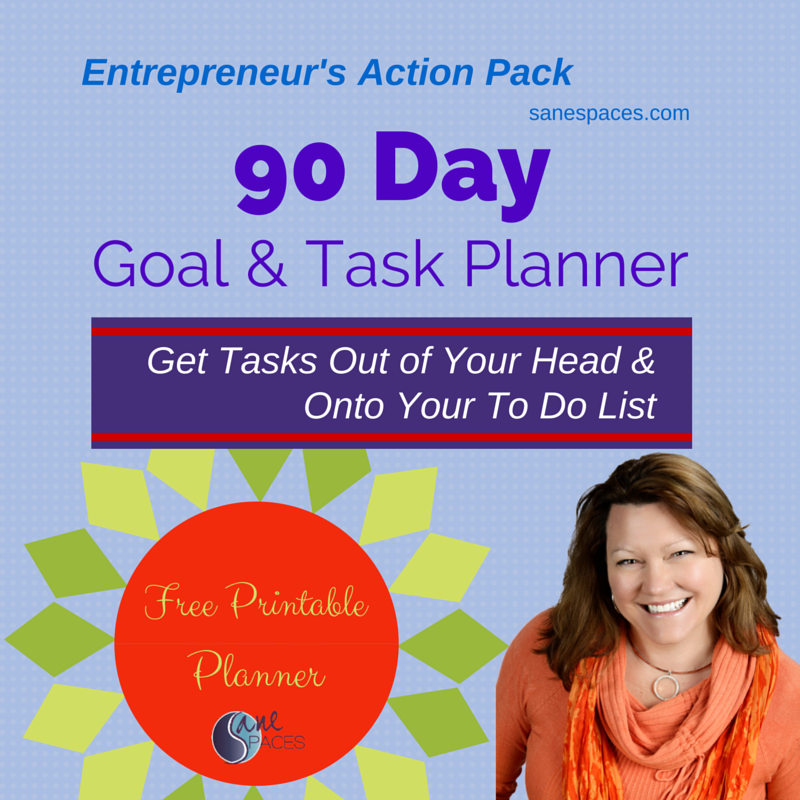 Using this Printable 90 Day Planner, you can best manage your time. To effectively plan, you must write things down so you can SEE, READ and PRIORITIZE what’s ahead. Writing out your goals and splitting them into doable smaller tasks works! When you work in 90 Day segments you accomplish tasks in bite-sized pieces. This planner helps you to get those great ideas and big dreams out of your head and down on paper. By focusing on splitting those big dreams into focused, more achievable smaller goals you can get into a flow that moves your work effortlessly. This printable 90-Day Planner helps you consolidate your thoughts on paper, in one place each quarter! After you lay it out, you can block out time on your schedule to work on each task that is important to your success. Download this free printable 90 day planner today, and use it for the next 3 months to stay focused and productive. Please enter your Name and Email address for your free printable planner!